The spoilers of Arrow season 5 episode 11 are out with the availability of its official synopsis. It says that Oliver Queen will come across an unlikely ally in the upcoming episode of the superhero tv series. The Arrow episode 11 of season 5 has been titled as Second Chances. Next week, the fan will see a new female character who would lend some help to Oliver. The official synopsis hints that Oliver will continue to fight Kovar and in the meantime, he will get help from an unexpected person: Talia al Ghul. After that, things will start changing and taking a different shape when she unveils what she really desires off from the Green Arrow. It will leave Oliver in doubt if he can accept her help. In the meantime, Felicity faces an unknown enemy while trying to hack NSA to set Diggle free. Unfortunately, the enemy flags Felicity’s online efforts. On the other hand, Curtis gets to know about a new female vigilante named Tina Boland. He reveals her to the rest of the team and also that she has been causing trouble all across the nation. If reports are to be believed then, Talia is supposed to first appear in the Russian flashbacks of Oliver Queen. Upon meeting her, the very first question arises is that why wasn’t he aware of the Ra’s al Ghul or the league of assassins until the second season. Moreover, why didn’t he reveal that he has already met a member of the al-Ghul family? The executive producer Marc Guggenheim, in an interview, said that these questions would be answered soon enough in the upcoming episodes. He stated that they have a very definite answer for all above and such questions. Regarding Talia, Guggenheim said that fans would sense a familiar resemblance between the Ghul sisters. Along with that, he stressed that Talia is not the clone of Nyssa and is her own person. 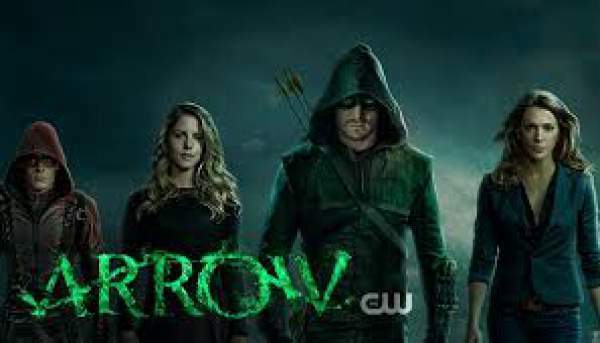 TALIA AL GHUL TAKES OLIVER UNDER HER WING – In his quest to take down Kovar, Oliver (Stephen Amell) gets help from a surprising source – Talia al Ghul (guest star Lexa Doig). However, when she reveals what she wants from him in exchange, Oliver isn’t sure he can accept her help. Felicity (Emily Bett Rickards) attempts to hack the NSA to help free Diggle (David Ramsey) but when her online efforts are flagged, she faces off against an unknown adversary. Meanwhile, Curtis (Echo Kellum) tells the team about a female vigilante, Tina Boland (guest star Juliana Harkavay), he uncovered online who has been wreaking havoc all over the country. Mark Bunting directed the episode written by Speed Weed & Sarah Tarkoff. The Arrow s5e11 promo has been release and available below. Arrow season 5 episode 11 (5×11) will air on February 2, 2017, at 8 pm ET on the CW. The show airs every Wednesday. Stay tuned to The Reporter Times for latest Arrow news and other TV updates like Quantico, The Flash, Legends of Tomorrow, Gotham, Supergirl, Lucifer, Marvel’s Agents of SHIELD, etc. across the globe.